1990 Lowe 1410 Utility 1990 Lowe 1410 Utility Used 14' Lowe Utility Package! This 1990 Lowe 1410 Utility is a classic aluminum utility package. This package is great for fishing lakes, and calm river waters. This Lowe comes complete with bow and stern seating, cleats, carry handles, 2 box seats w/storage, 3 rod holders and mounts, carpeted floor. 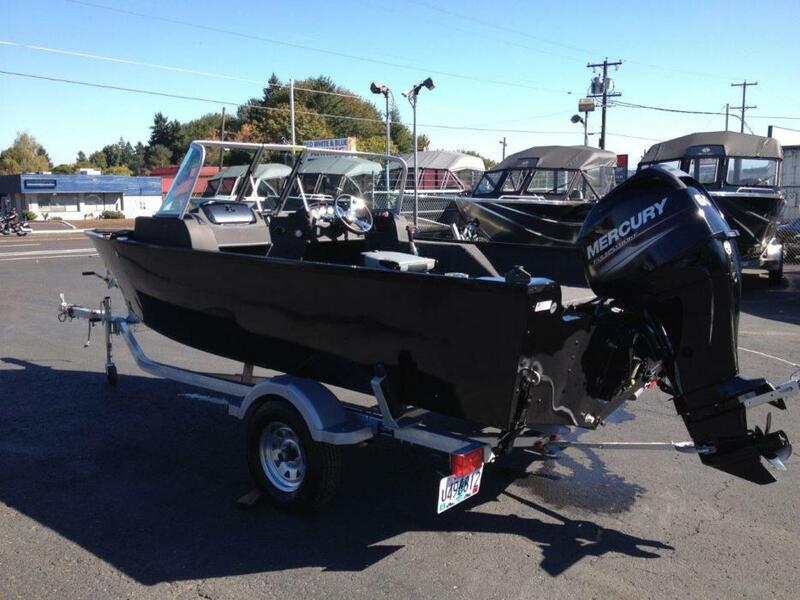 This package is powered by a 1990 Evinrude E15ECNC 2-stroke outboard engine and sits atop a Carnai single axle trailer. This package is available now for only $1,590! Contact us today for a complete list of options, or make us an offer by clicking on the “Make an Offer” button on this listing! Please note that all pre-owned accessories and electronics included in the package are not guaranteed by Y Marina. Y Marina will not be responsible for replacing any pre-owned accessories or electronics that do not function properly, unless negotiated with your salesperson prior to the pre-owned package purchase. 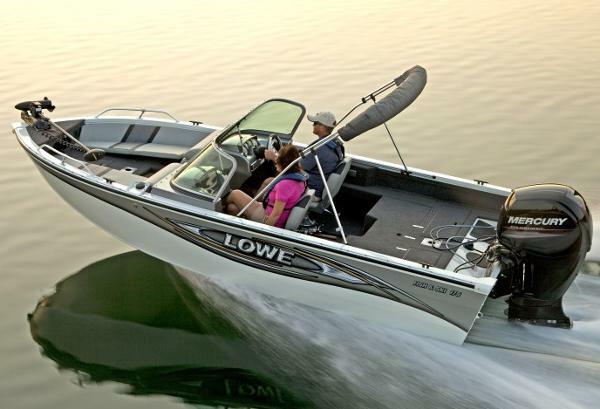 2014 Lowe Fish & Ski FS175 This boat model may or may not be in-stock. Please contact your local, authorized dealer for more information For terrific watersports capability and fishability to match, the versatile and stylish FS 175 really delivers. Head-turning graphics options, top-quality Lowe hull construction and a powerful Mercury® outboard engine hint at the wakeboarding thrills served up by this sleek aluminum boat. An intuitive console features premium Fusion® marine audio with iPod® dock, while ample storage throughout the boat keeps your gear safe and secure. When the time comes to fish, the clever aft conversion bench flips out of the way to form a spacious fishing deck, pedestal fishing seats offer additional room to reel, and a large aft livewell keeps every catch fresh, all the way home. Fish and play all day with the fun-loving FS 175.16 oz. 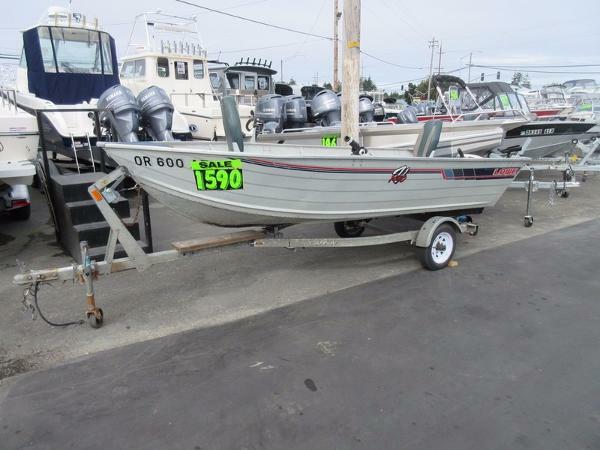 charcoal marine carpetAcrylic console w/ glove box, full windshield & soft grip wheelPlug & play instrumentation: tach, speed, fuel & trimFusion® Marine RA50 AM/FM stereo w/MP3 plug in, iPod dock & 6” speakers (2)Helm seat on locking pedestal w/ sliderMovable pedestal fishing seats w/ seat basesAft flip-up seat/fish deck conversion benchBow, stern & starboard storage compartmentsAft deck aerated livewell (19 gal. )Bow in-floor storage lockerLarge 7’ locking port rod lockerOptional aft boarding ladder w/ swim platformNew color options: Blue Flame, Bay, Red, Black, Silver and White Lowe factory packaged boats are available with various horsepower Mercury® outboards. Standard equipment and options may vary from model to model.